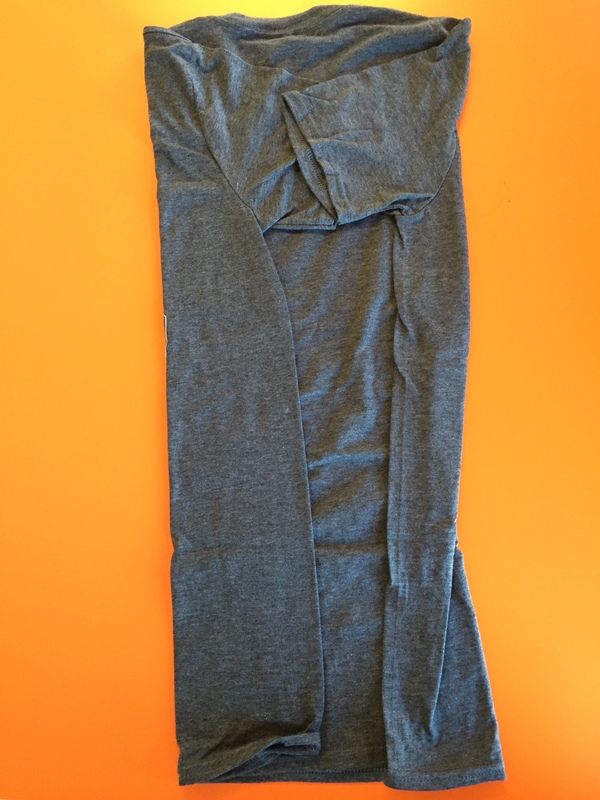 How do I fold a t-shirt? 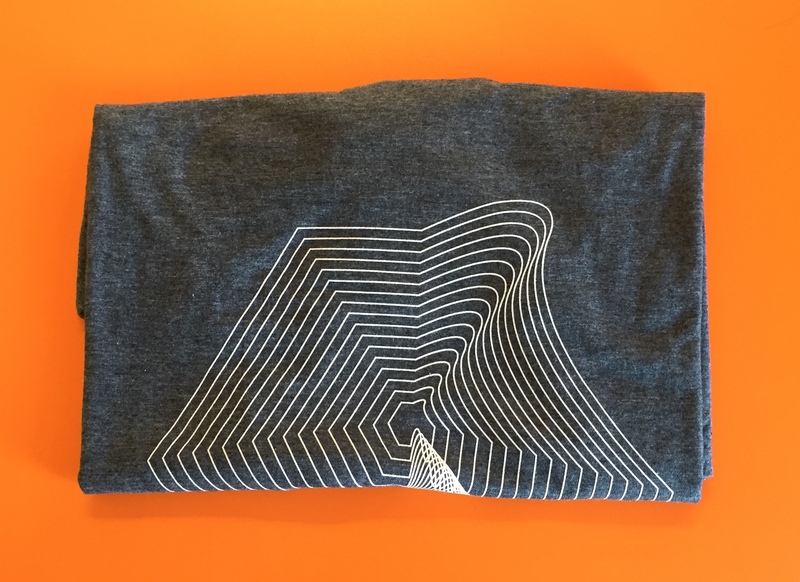 There’s actually plenty of ways to fold a t-shirt, but this method is our favourite because you end up with a neat and tidy fold that shows off the design on the front of the shirt, and it fits perfectly into an envelope for posting. Using this method the label is also easily checked, even when the t-shirt is fully folded, so you can keep track of sizes easily. Lay your t-shirt face down on a flat surface. It doesn’t have to be orange. Just flat. Fold the arms and the sides in by about a third each. You’re aiming to make an oblong shape. Tuck one sleeve under the other. 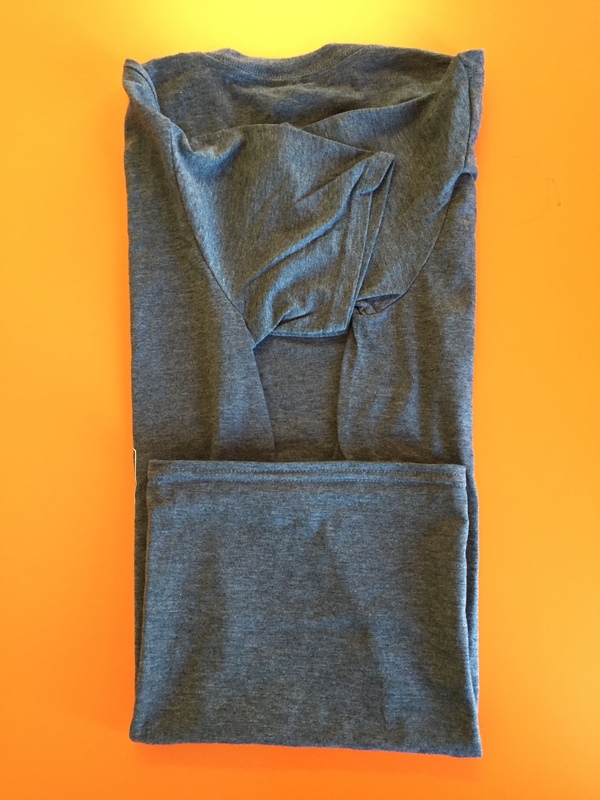 Fold the bottom of the t-shirt up by about a third of the length. Fold the bottom part up over itself again. Fold the top of the neck down to create an oblong shape. You can tuck the neck under the front of the t-shirt if you want to make it look smarter. Turn the t-shirt over so the logo is on display. This looks great for chest prints. 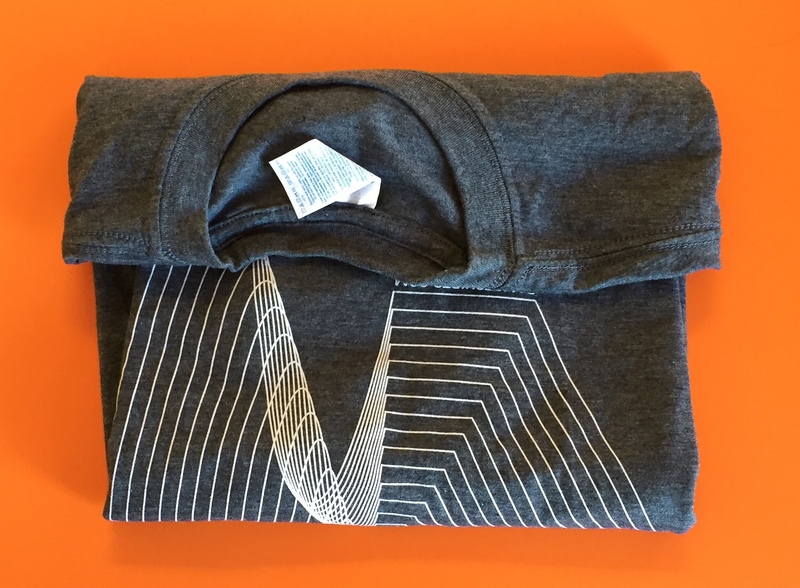 If you’re planning on posting the t-shirt out, slide it into an envelope face up so the person receiving it sees the design as soon as they open the mailer. Bonus tip: In the UK, it’s not only weight you pay for when posting – thicker parcels cost more to send. 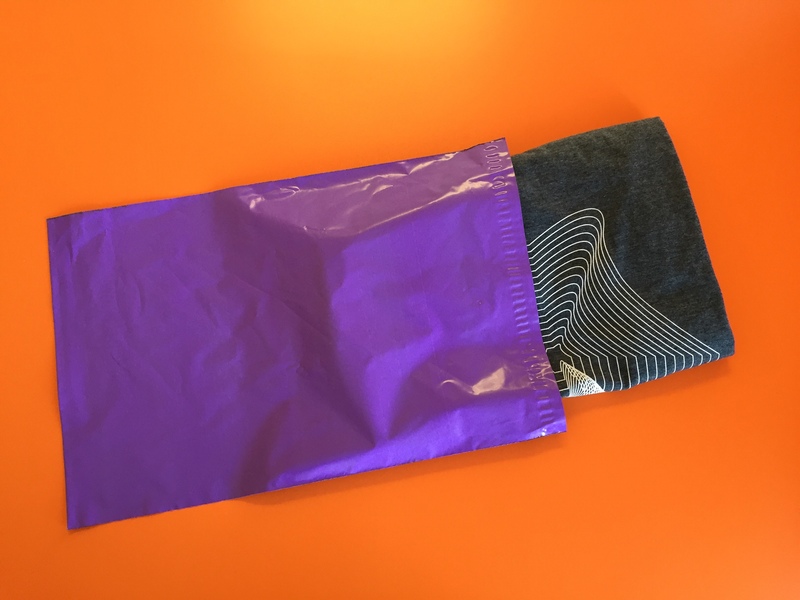 If you use this method, shirts up to size 2XL will fit in a mailer designed to be sent as a small parcel, saving you money. 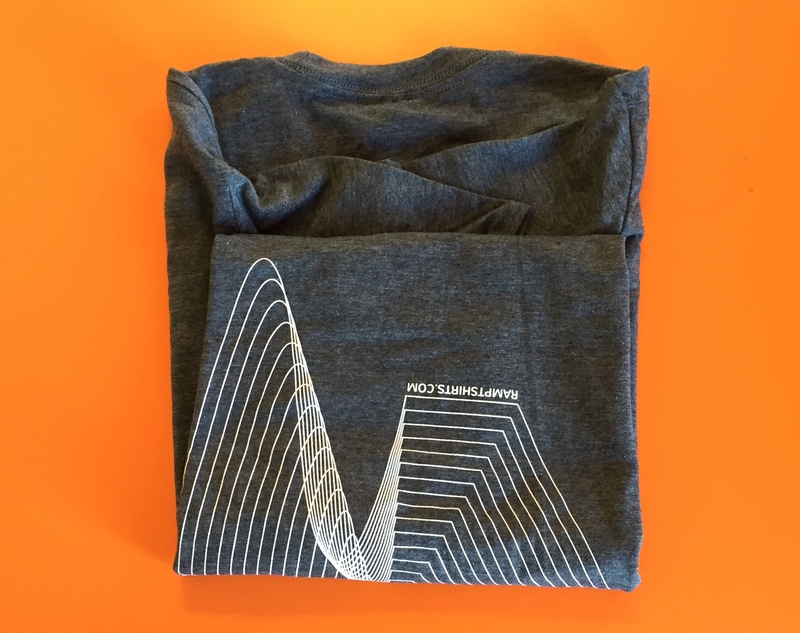 And if you need to know how much your t-shirts weigh before sending them, check out our blog about that. To get your t-shirts printed, fast, head to RampTshirts.com now. 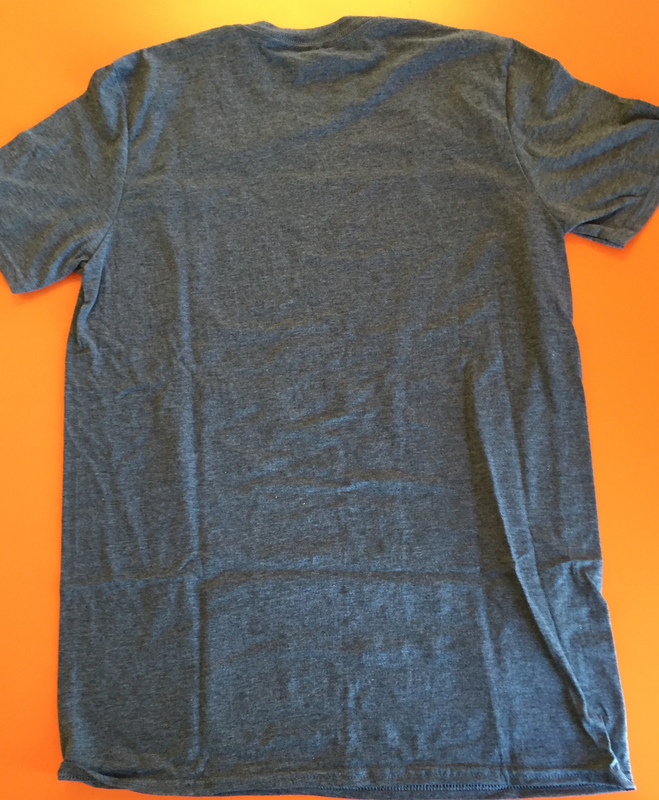 Previous Previous post: How much does a t-shirt weigh?